We live in a digital age which means that more is expected of us on a regular basis. Multi-tasking is the new standing still. Stop and smell the roses? Nope. I have to stop and smell the roses and then Instagram a picture of me doing it but only after I’ve filtered it a few times and then tweeted about the experience. It is what it is. Life as we know it has become complicated. And noisy. OH SO NOISY. I’ve written about Unroll Me before. It’s such a great service! All those emails that you want to read but don’t necessarily want to get every single day … there’s a place for them now! You don’t want to unsubscribe but at the same time you don’t want to deal with them on a regular basis. You KNOW WHAT I’M TALKING ABOUT!! Unroll me allows you to roll up unimportant emails into one big lump email. So think about it. The store emails, discount deal sites, and blog recaps (not Lady and the Blog — all the other ones) can all get consolidated into ONE email. Junk mail fillers be gone!! I LOVE THIS!!!!!!!!!!!!!!!!!!!!! Click here to check Unroll Me out. My people. If you aren’t using Google Drive then you are not using the Internet. The Google Drive is THE ONLY WAY I share documents or store work that I need to access while I am on the go. I don’t save anything on my computer if it’s important. I put it on my Google Drive because I know that I can be anywhere in the WORLD and still access it. It’s like a cloud up in the sky just filled with zeros and ones. Ok, it’s not LIKE a cloud. It actually IS a cloud. USE IT! You can access it from your Gmail, G+ or Youtube account. Need a way to see a quick snapshot of your finances? Mint is for you and it’s FREE. See where your money is going and figure out your spending patterns. It’s always great to check in and see ALL your credit card balances and savings account numbers at ONCE. Ok. I have Verizon but you might have another carrier. Keep reading either way. I am sure your carrier has an app that does all the same things. I live and DIE using the Verizon Fios App. I’m walking around the city and I see a bus drive by and there’s a HUGE sign for a new show that is coming out in a few weeks and I think to myself that I want to watch it. I whip out the app and schedule my DVR right there on the SPOT. BAM! Magic. I’m talking with friends and they are going crazy over this new show that just started. Same thing. Whip out the app and record. It’s so awesome!!!!!!! Ok I know Meetup isn’t really supposed to be in there … ignore that one. I don’t have time to sit through and navigate through all the flash sale sites on a regular basis while I am home. But I do have time while I’m waiting on line at Starbucks or at the grocery store. Think about all the things you want to do and download the app. You will get back so much more of your day if you squeeze in these little searches during your waiting periods. Stop doing them as an actual activity. Do them in between activities! I hope this post gives you a little organizational inspiration. 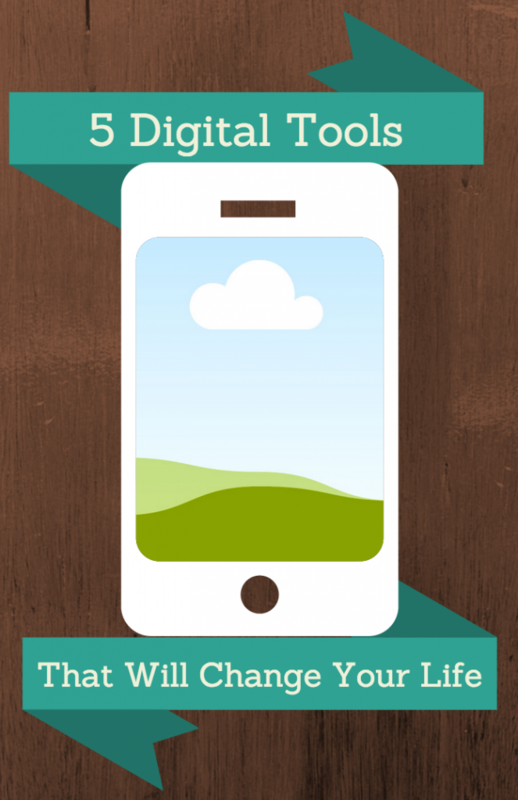 What tools do you use to stay organized and on top of the digital chaos? I just found google docs and I really don’t know how I have survived this far without it! Loved the other suggestions. I am going to have to try out a few.